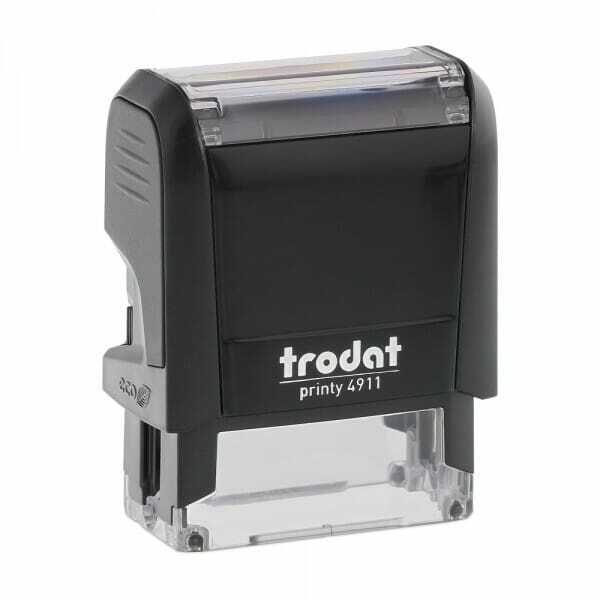 Trodat Printy is the worlds most popular self-inking rubber stamp! Self-inking means there is no need for a separate stamp pad. Be sure to check out the many other titles available, COPY, FILE, RECEIVED and many others! Trodat Printy stamps are 'climate-neutral' containing up to 65% of post-consumer recycled plastic. Please visit www.trodat.net for the latest in Trodat environmental initiatives. Replacement ink cartridges (6/4911) are available in black, blue, red, green and violet. Customer evaluation for "Trodat Printy 4911 - S-Printy - Stock Stamp - WTF"
Slider Boardroom Sign 2" x 13"